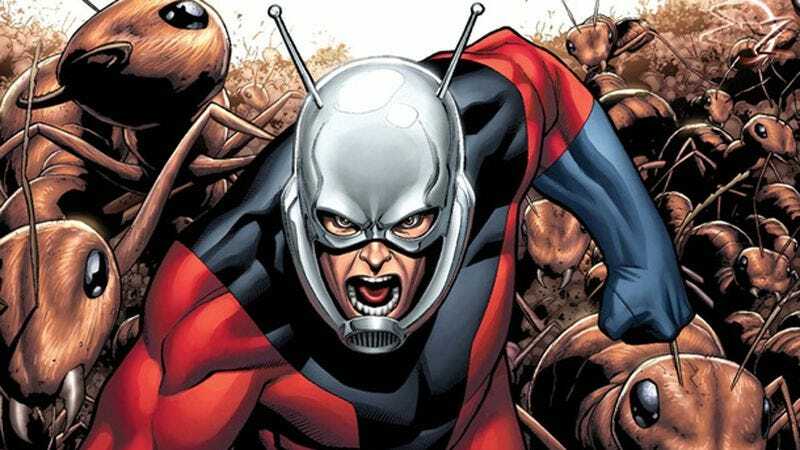 Our surprisingly brief nightmare is over: Marvel has found a new Ant-Man director. Edgar Wright left the project in late May due to some undisclosed “creative differences,” and since then we’ve had no shortage of rumored directors that Marvel hoped would take his place. We initially heard that Adam McKay, Ruben Fleischer, and Rawson Marshall Thurber were the frontrunners for the job, with McKay pretty definitively stating that he would not be directing the movie. Then, late on Friday, The Hollywood Reporter declared that Peyton Reed and David Wain—yes, this David Wain—were the new frontrunners. Now, shockingly, one of those predictions was actually right. As announced on Marvel’s official site (via The Hollywood Reporter), Peyton Reed is officially the new Ant-Man director. He may not have as much geeky name-recognition as Wright, but Reed has a pretty healthy comedic résumé, having directed a few episodes of New Girl and Mr. Show, as well as The Break-Up, Yes Man, and classic cheerleader battle movie Bring It On. Also, it turns out the rumors about Adam McKay—as thoroughly denied as they were—weren’t actually that far off. Marvel says he’ll also be joining the film to “contribute” to its script in some unknown way. Presumably Marvel trusts him to guide it into whatever shape Edgar Wright didn’t agree with. For now, though, we can finally stop wondering who will direct Ant-Man. At least until the new guy quits.